Earn up to 4,144 reward points. An innovative instrument that'll have anyone playing music in just minutes! 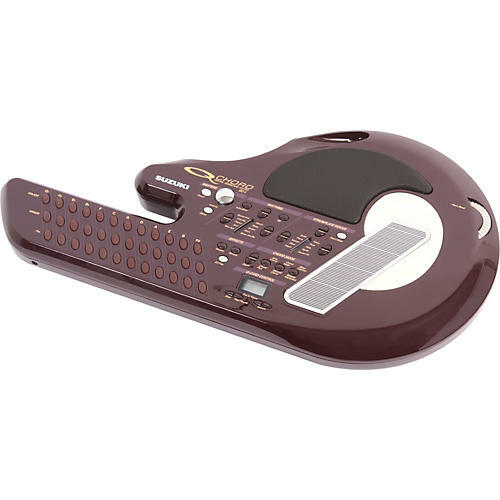 If you love music, now you can become a member of the band quickly and easily with the Suzuki QChord, an exciting digital audio instrument that strums like a guitar, plays melody like a keyboard, plays chords like a piano, and has over 100 MIDI voices and rhythms onboard. Anyone-musician or not-can sound like a pro at the touch of a button. You can't make a mistake! And like a video game, QChord has multiple skill levels. Learn to play in seconds, then add features as you get better. New QCards are always being added!